Allen Dulles center. Fired 1962 from CIA for Bay of Pigs Fiasco. Later sat on Warren Commission. Much steam is being vented from establishment media sources regarding the issue of ‘Fake News’, but nowhere from this tower of babel does flow any mention of its parentage. The art of fake news; intentional deception, has spent a number of decades now marinating, gestating within the upper chambers of debauchery, its pinnacle of evolution now bursting its rotten underbelly upon the masses for sunlight to disinfect…I hope. In which case, the following bears repeating. Just like the horse thief, Banana Republic it has proven itself to be, from that 1963, Dallas event forward… the wonder of Capitalism is still busting kneecaps and liquidating heads of state, incompatible with Game-Street Markets. Throughout the Cold War, the Soviet threat was proven to be tremendously over exaggerated. Fear was employed to fleece public wallets, for the sake of building up an unassailable war machine, which has become ‘the’ fundamental component of our Western economy; nothing remains untouched by it. Kennedy’s only fault was that he wished to extend a hand of cooperation across the globe, rather than one of destruction and rule by force…good for the Capital War Machine, but not for innocent denizens of the Earth. As a result of that private election, held through a triangulation of rifle scopes in Dealey Plaza-1963, today, the world is a basket case of seething, bigoted, military entanglements, anger, hatred and mob rule…destroying our Planet in its wake, as the Capital vampire devours resources from every corner, over the glutinous cheering of rabid speculators. A new book has emerged claiming that former CIA director Allen Dulles ordered JFK’s assassination because he was a ‘threat to national security’, a mental aberration which is no friend to humanity. 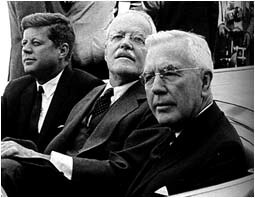 Ironically, in the end, Dulles sat in on the Warren Commission, allowing the villains to whitewash the actions of their coup d’etat, while condemning an innocent patsy. REMOVE THE ‘sacred’ PLANT FROM NIXON’S, 1972, SCHIZOPHRENIC, PARANOID PROHIBITION ACT…. ‘Legalization’ of Cannabis is doing nothing more than opening the floodgates for Monsanto and other petro-chemical, GMO seed and pharmaceutical corporations to commercialize, regulate, control and tax Cannabis through genetic engineering, patenting and licensing. Legalization is nothing more than the New Prohibition. The illegality of cannabis is outrageous, an impediment to full utilization of a ‘drug’ which helps produce the serenity and insight, sensitivity and fellowship so desperately needed in this increasingly mad and dangerous world. 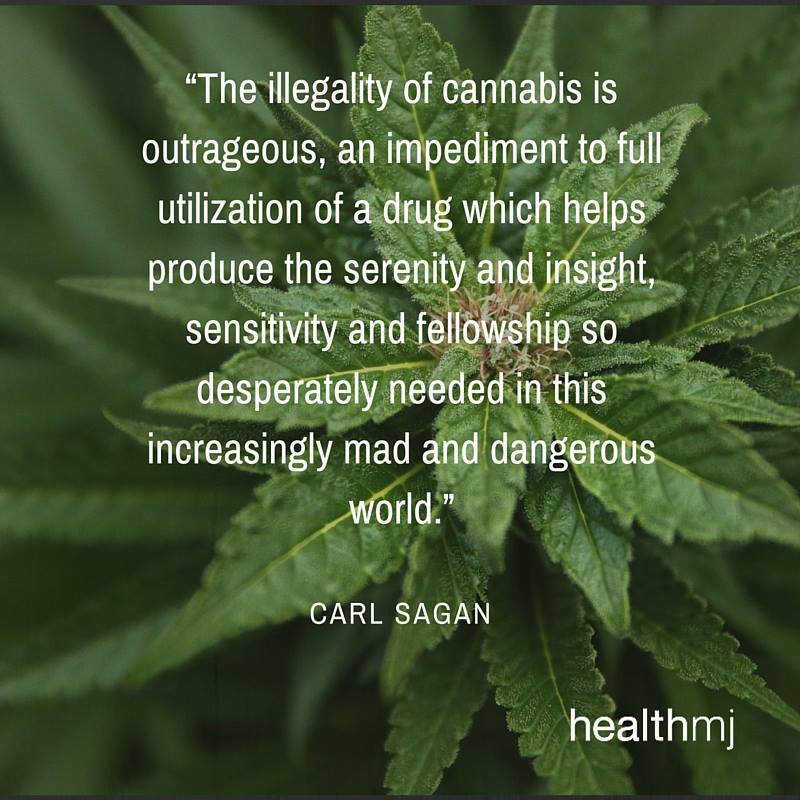 The only fault I find with Sagan’s statement is his use of the word ‘drug’ to describe the sacred plant Cannabis. The best classification we can correctly ascribe to this visionary, healing gift would be the word ENTHEOGEN…..no different than other entheogens, such as Mescaline, Peyote, Psilocybin, Amanita, Ayahuasca (the vine of souls)…to name a few, that come down to us from our pre-Industrial, pre-Christian, old world, ancestors. Outlawed by the Church & Chemical Science….the intervention has caused a deep, psychological and physical break with humanity’s ORGANIC connection to our host…..the Earth. A ‘certain’ segment of, for lack of a better term, ‘Humanity,’ has gone completely off its ‘beastly’ rocker. The military has been littering our ocean of air with demented ‘science’ that is rendering the Earth and its biosphere, inhospitable to the diversity of organic life all around us.